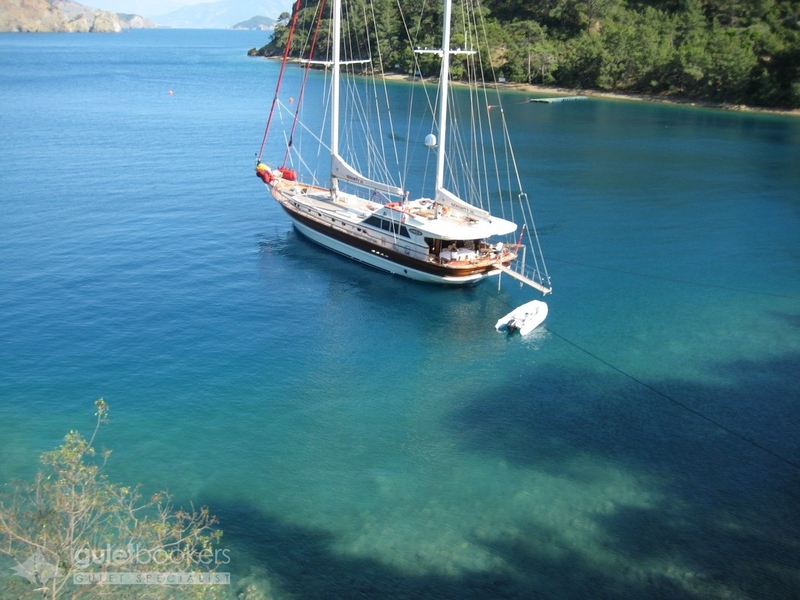 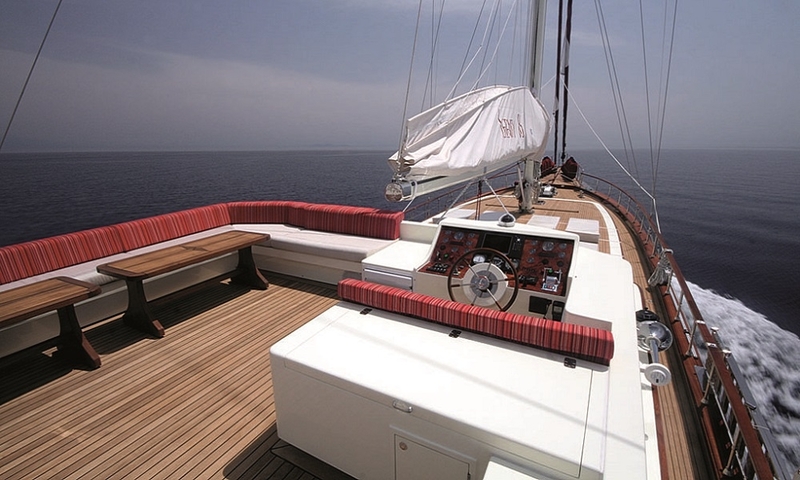 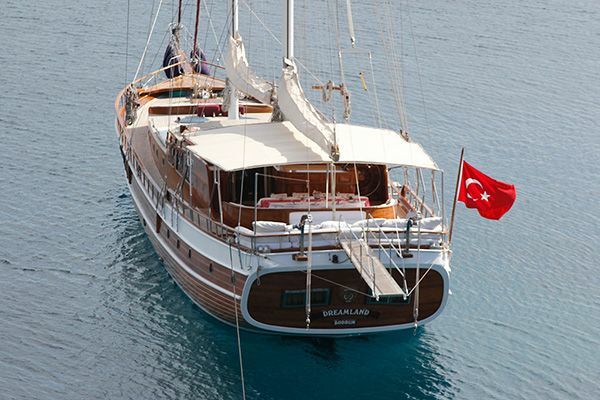 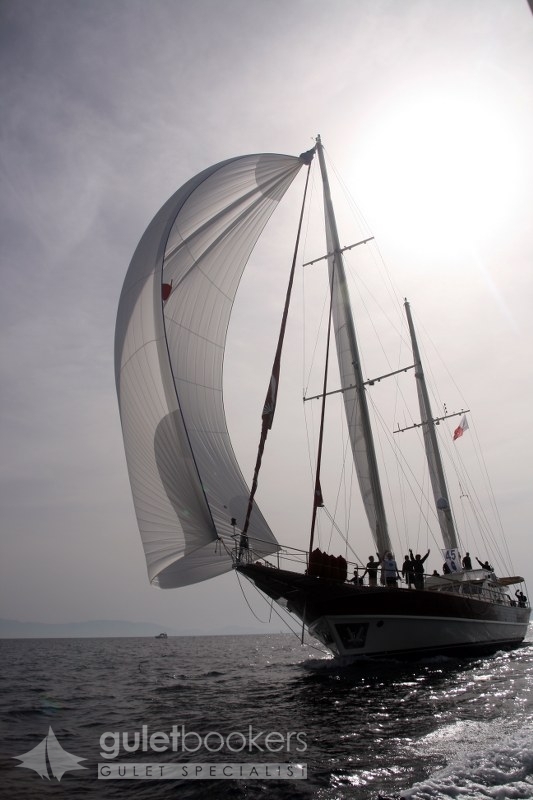 The Deluxe Gulet Serenity 86 was constructed with meticulous attention to safety and modern fittings to provide a very luxurious and comfortable sailing cruise for up to eight guests. 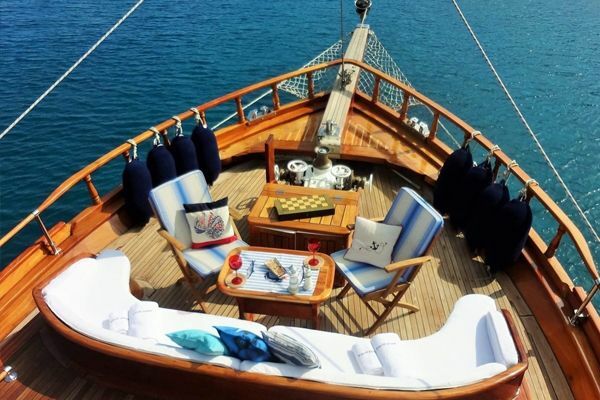 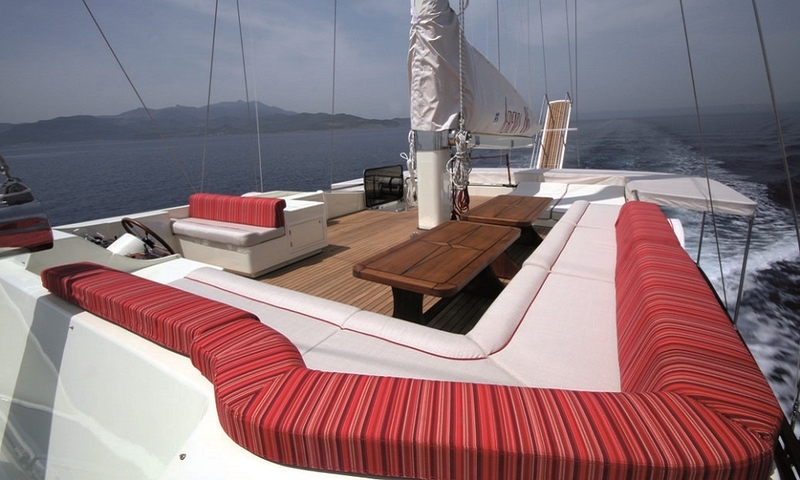 The traditional lines of a traditional Turkish gulet have been retained to contain a very sleek contemporary design for the decks, interiors and cabins. 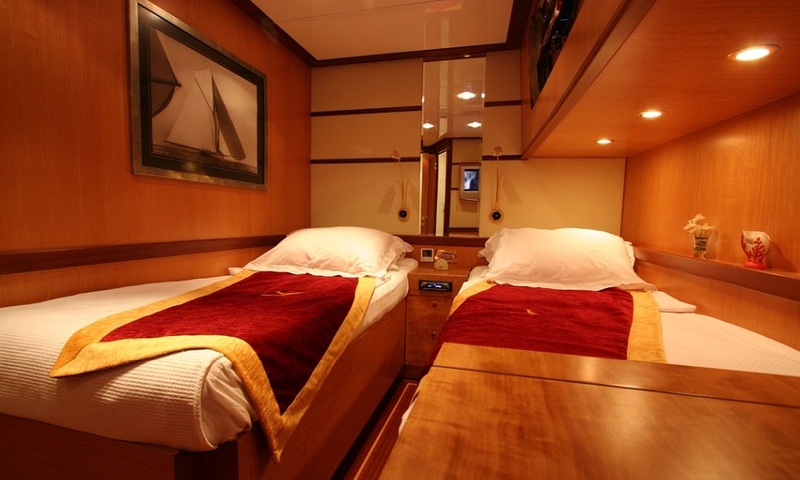 Just four cabins are arranged in the hull with the luxurious master cabin enjoying the space of the full width of the beam forward with a queen sized bed, walk in robe, vanity desk, and side sofa, while one queen sized double bed cabin on the port side and two twin cabins allows flexible accommodation for all guests. 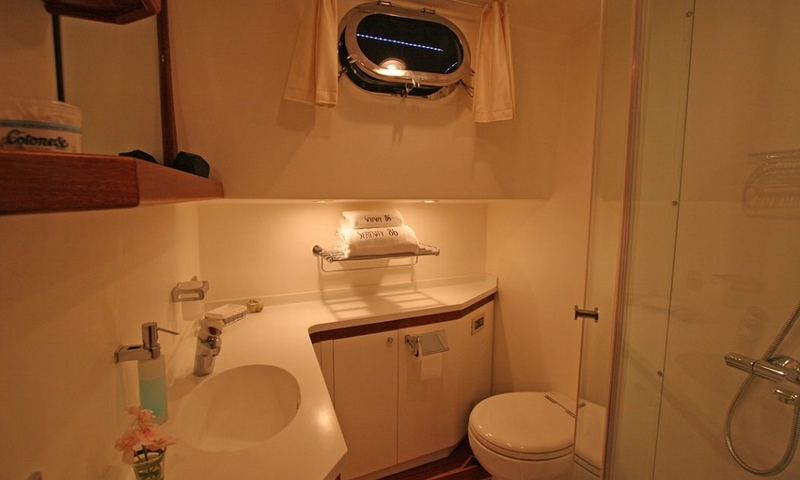 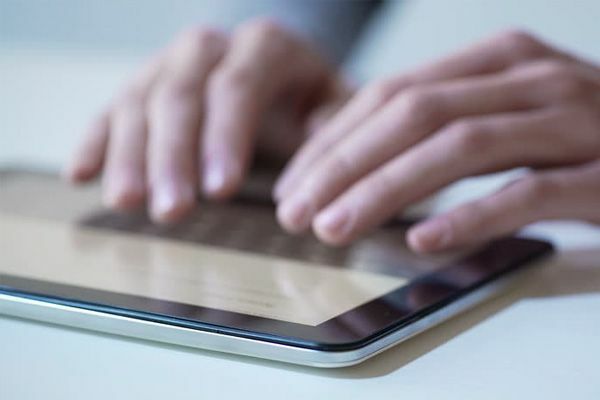 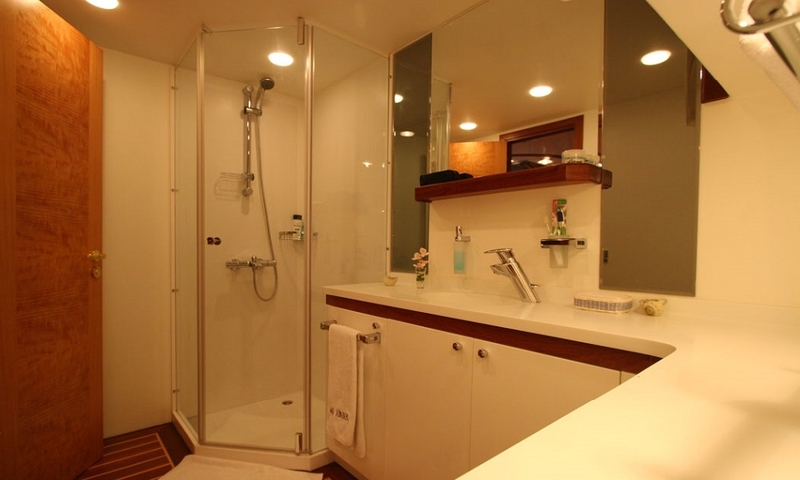 All cabins enjoy air-conditioning, en suite bathrooms and their own TV and DVD system. 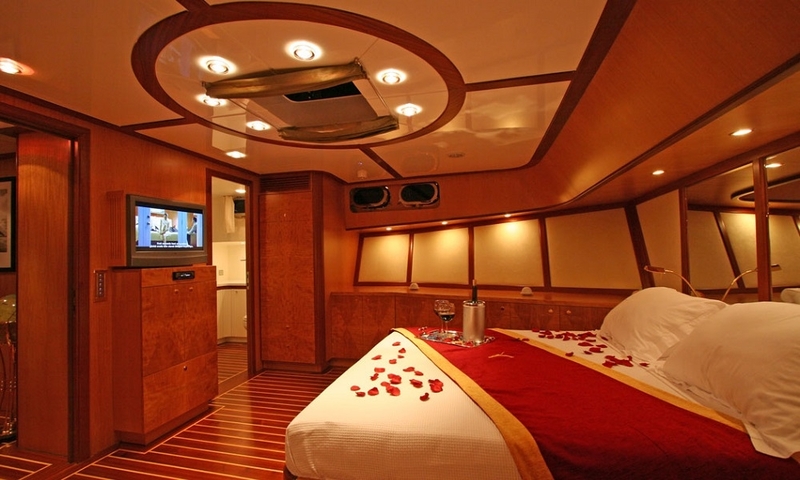 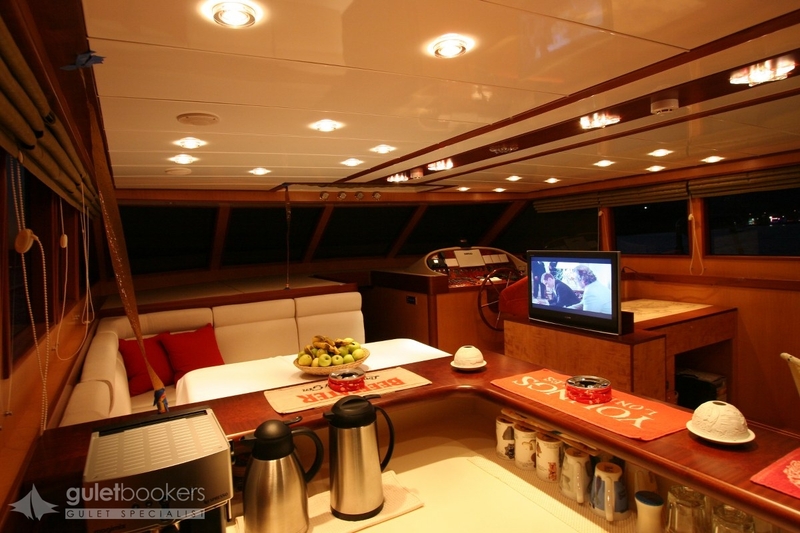 The light and modern interior of the air-conditioned saloon on luxury yacht Serenity 86 , is designed to give both space for indoor dining and a seating relaxation bay for enjoying the HD TV, i-pod and internet connections which keep everyone happy. 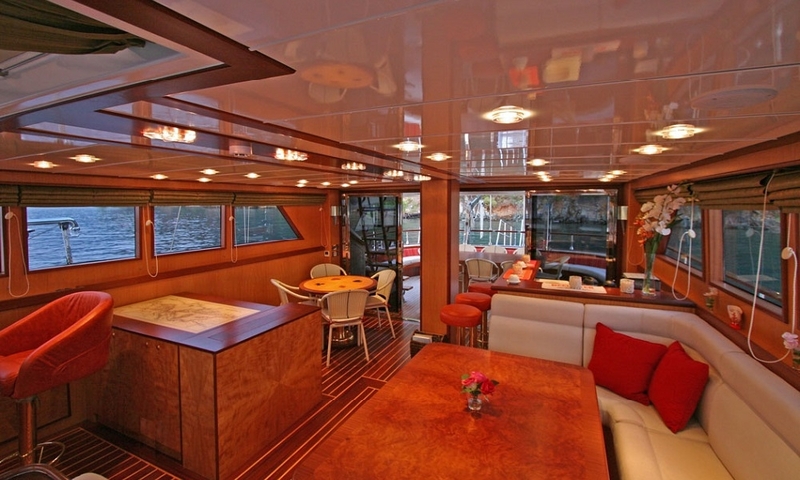 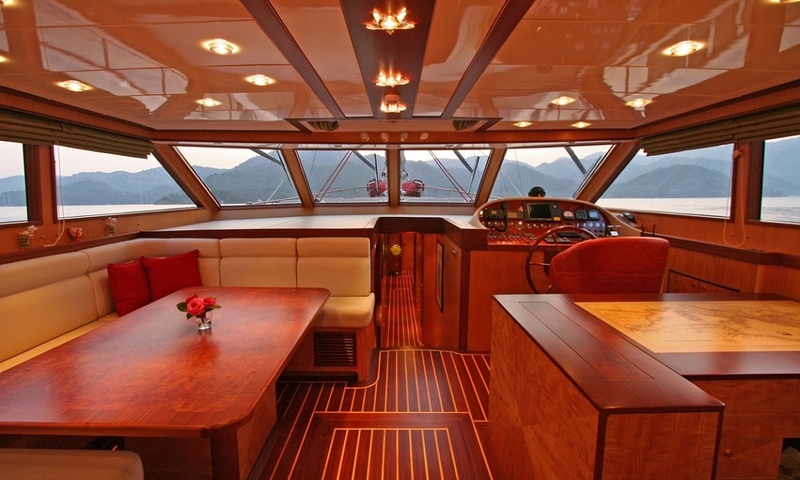 The floor of the saloon lies level with the aft deck and via full length glass doors allows light and continues space and movement onto the deck. 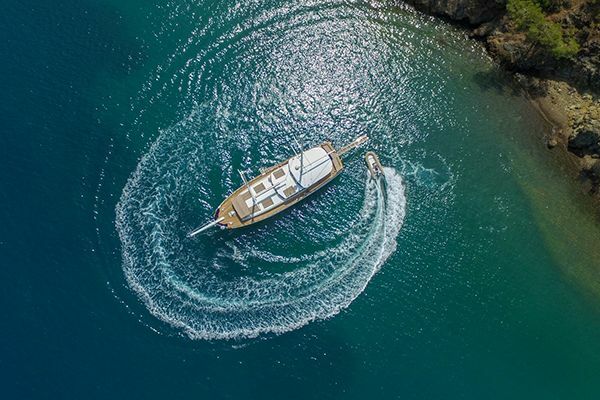 The deck space is exceptionally generous with the Serenity 86 as the yacht designers have added a fly bridge: an upper deck where the Captain helms and where there are also sunbeds and space to admire the panoramic view or enjoy the stars on the fly-bridge’s comfortable couches. 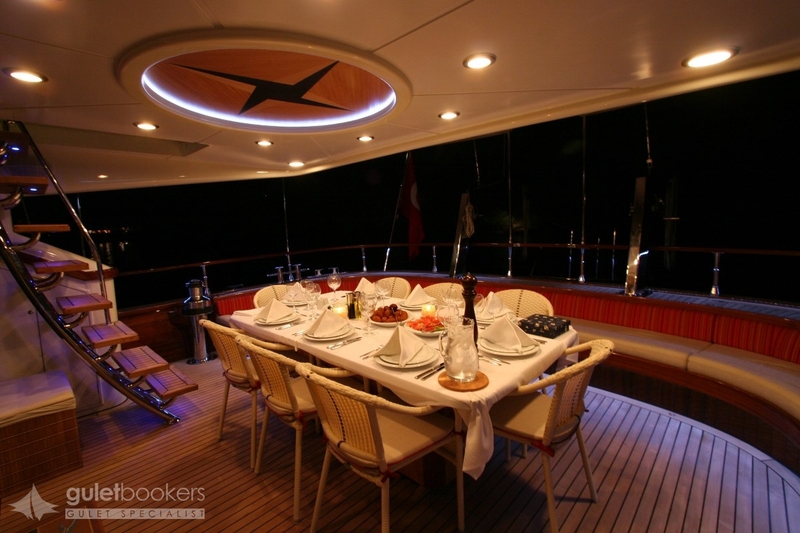 It makes for the ideal spot for sunset drinks or for a light meal with the grill and minibar close at hand for rapid service by the crew. 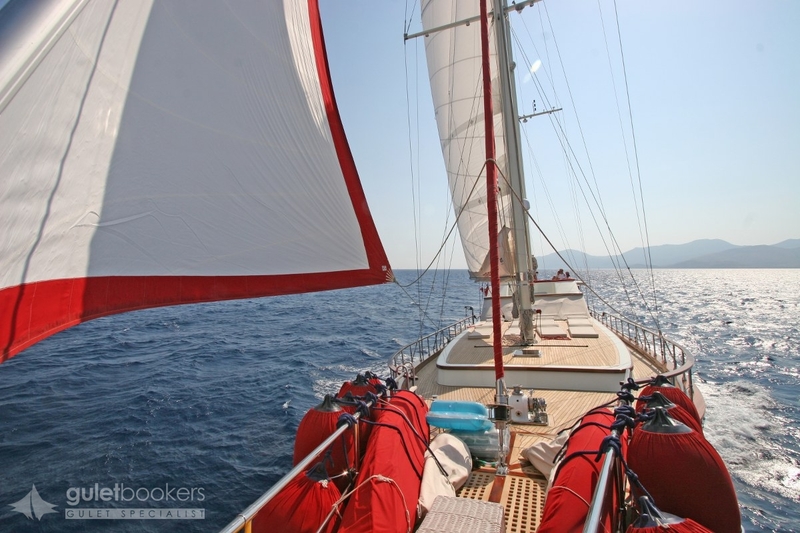 On deck is where the real holiday is enjoyed, and there is ample space for relaxing on the foredeck sunbeds and also beneath the fixed shade roof over the aft deck. 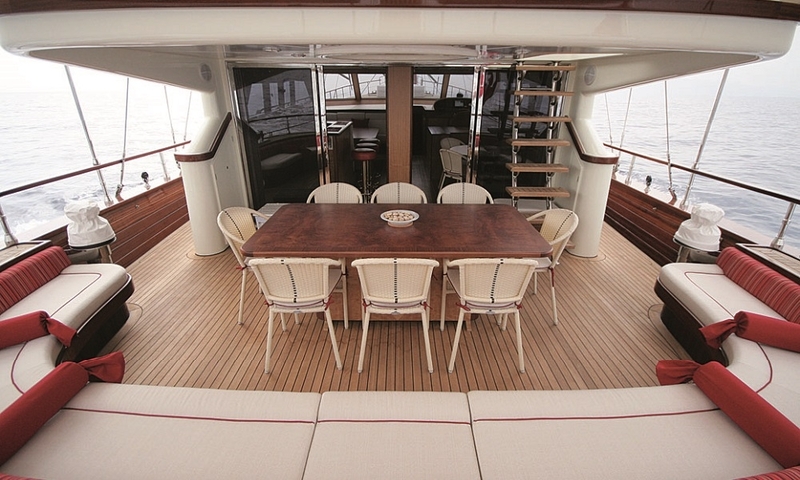 Dining outdoors is the special pleasure day or night, or on the inviting half circle of cushioned seating around the stern for relaxation and conversation. 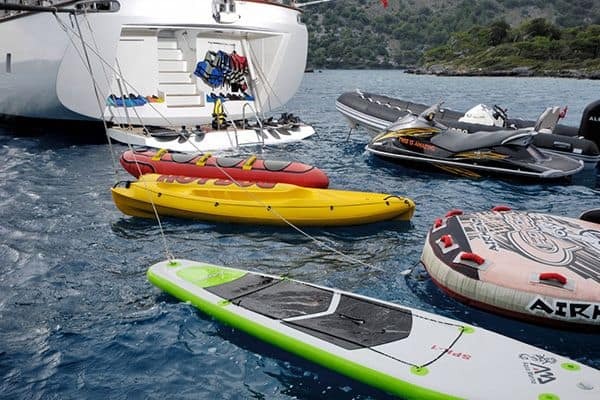 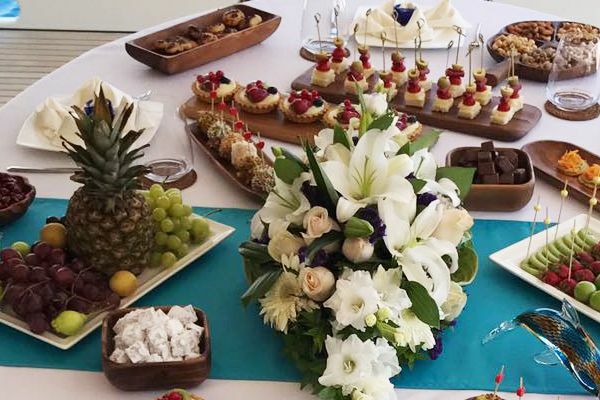 Guests who seek activity will relish the well-stocked choice of water toys of water skis, wakeboards, rings or canoes. 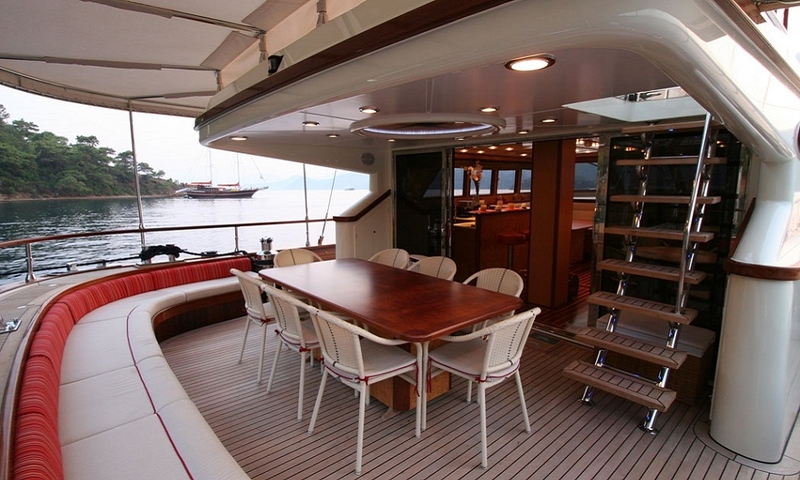 An excellent professional crew attends to all needs and the guests. 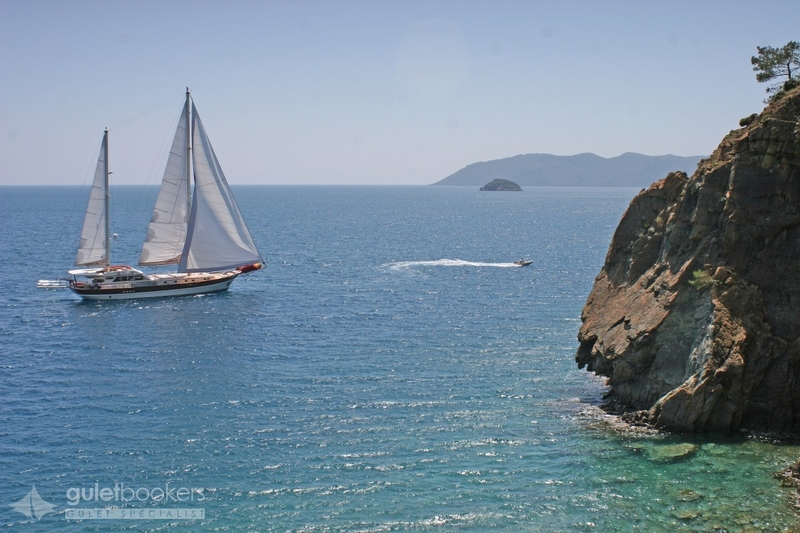 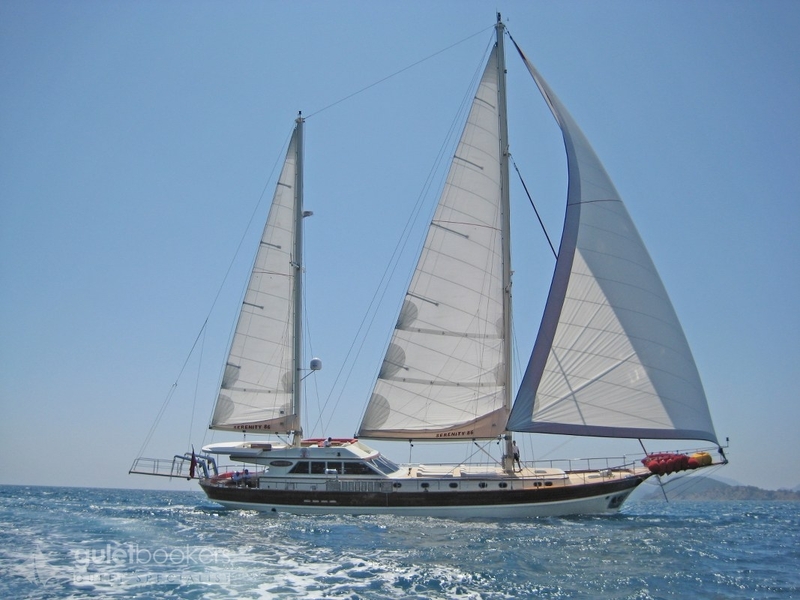 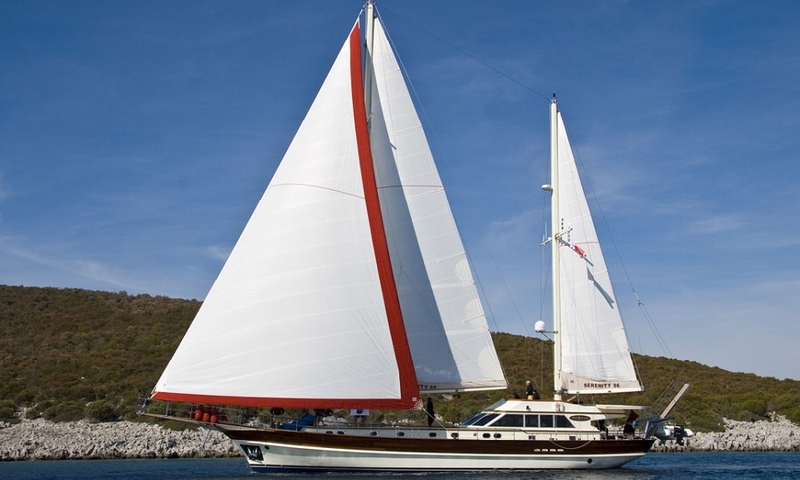 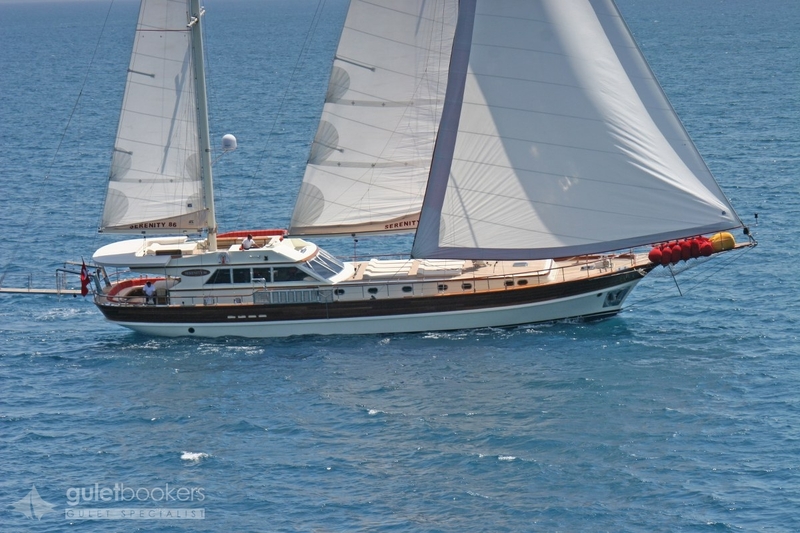 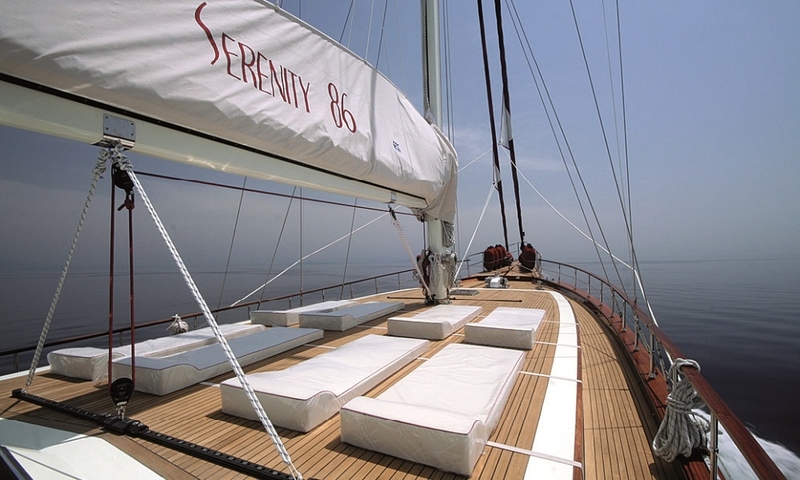 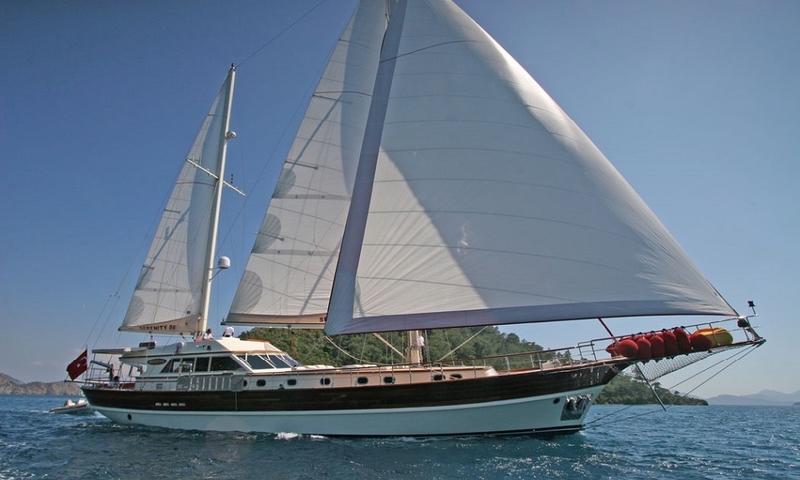 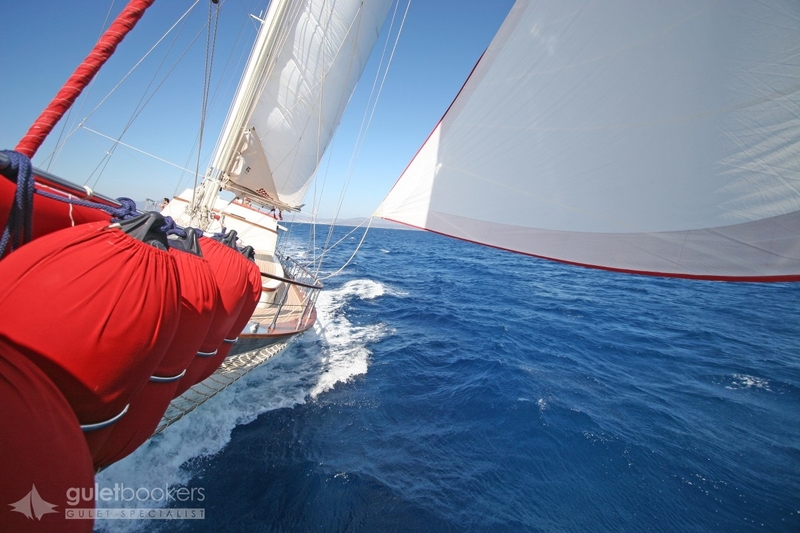 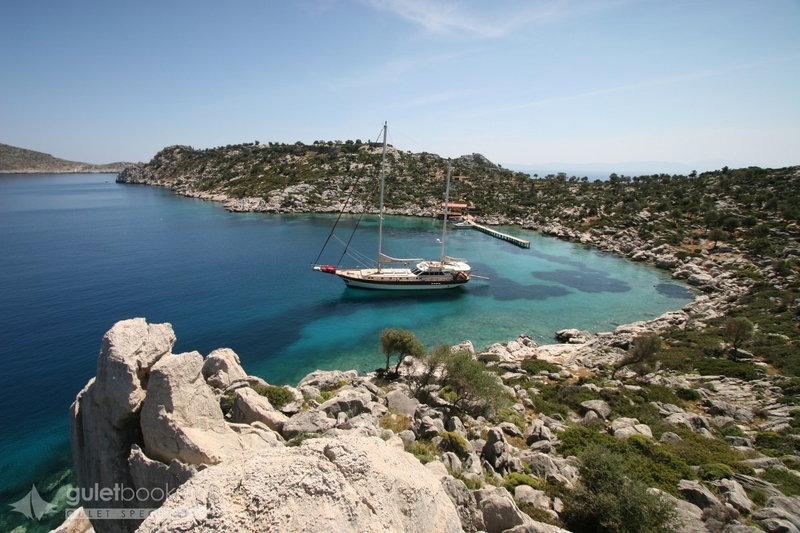 With ample water toys plus a full sailing rig for some superb sailing, the Gulet Serenity 86 makes an ideal luxury yacht charter to explore the Turkish coast and Rhodes and the nearby Greek islands.